When Kayleigh tweeted asking if anyone would be interested in guest blogging whilst she went on her jollys – I jumped at the chance! Couture girl was one of the first blogs I started reading way before I started my own, and still is one of my firm favourites. With this being said, I hope you enjoy! Summer has finally popped its head around the corner and the sun is beginning to shine. With this in mind, my daily beauty regimes and routines have all had a good old shake up and my summer products are out in full force – which is exactly what I am going to share with you today. Just a few of my favourite summer products I will be using this year. Naturally, I look very un-natural. In fact my other half calls me casper when I am (very rarely) tanless. Tan is something I generally wear all year round, but definitely make more of an effort with in summer. Especially as the sun does nothing but turn me into a giant freckle! Xen Tan is my saviour. The one and only tan I have ever found to tick every single box – no streaks, no dodgy biscuit smell, good colour guideline, not orange but beautifully golden, lasts up to a week and doesn’t give you that snakeskin look when it starts to fade away. Need I say more? 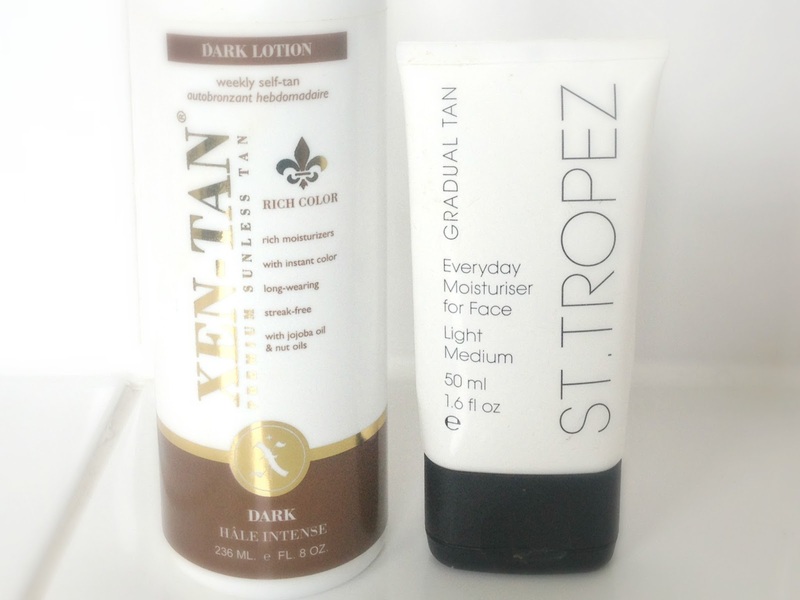 For my face, I use St Tropez as I find this to be a lot more moisturizing than the Xen tan face tan. It leaves a gorgeous colour and your skin is left so soft and smooth, making the bare face look so much easier. In summer, especially when it’s hot the last thing I want is a heavy, thick foundation hanging on my skin. 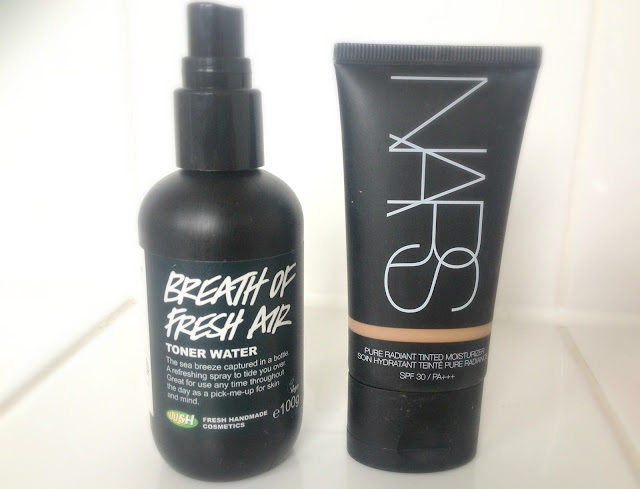 This is where tinted moisturizers come into play, Nars pure radiant tinted moisturizer being one of my favoured. Lightweight and radiant with added spf 30 it is the perfect coverage for a hot summers day. It is also absolutely flawless and the radiance really does shine through giving you a beautiful glowy and dewey finish. On hot days I find my skin dehydrates much more than in winter, and sometimes I might just be too hot so I turn to this little pick me up – Lush’s breath of fresh air toner water. I sometimes use it as a toner, but mostly I just carry it round in my bag for a quick spritz here and there. It smells so lovely and contains fresh sea water. What’s best for dehydration? Salt. 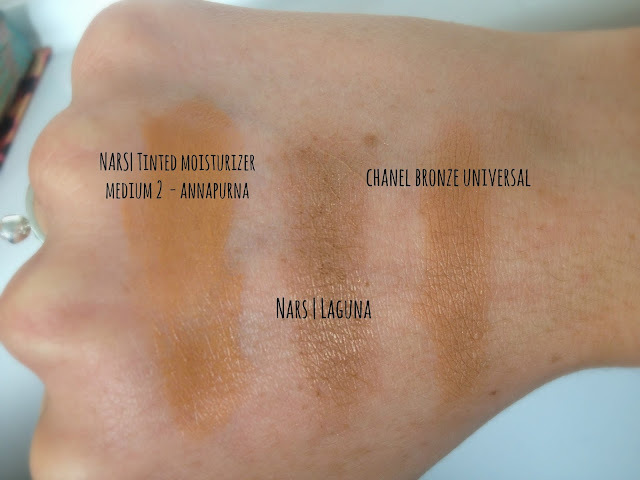 I ummed and aahh’d which bronzer to throw in this post, and I just couldn’t choose. Laguna has and always be a firm holy grail, but I love the Universal too?! 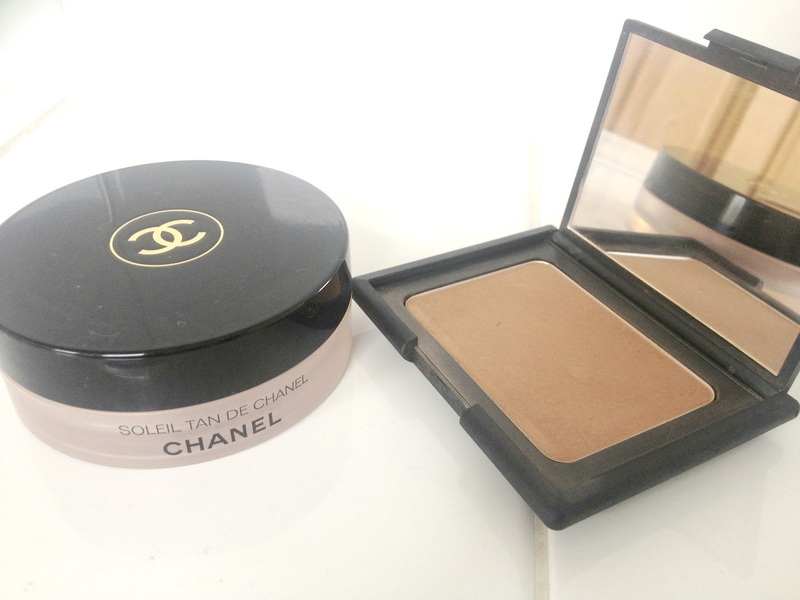 Both are equally as good and are my go – to’s for contouring. Crème blushes are my preferred texture in summer, so therefore the universal I am using more for contouring and Laguna for an all over bronze. Both are so natural looking, especially Laguna which just has the tiniest bit of shimmer in which I love – sun kissed and natural. As I just mentioned, crème blushed are my way to go in summer – these new releases from Bourjois are just fabulous. They are really on a roll at the minute! I love coral shades in the summer months and this one in‘Healthy Glow’ is so pretty and blends like a dream. My powder choice, another coral, would be coralista from Benefit. A favourite of many, and it’s pretty obvious as to why, it is a lot lighter than the bourjois and has a speckle of shimmer in it too to give that highlighted glowy effect. Mac Lustre drops in sun rush – HOLY GRAIL. I cannot get enough of this. I would of never of picked this up myself till someone put it on me in a makeover and thank god they did. I have never been a fan of liquid highlighters but this just is the cream of the crop. Beautiful and golden for that summer bronzed look – definitely recommend these. I could give you a million lipsticks that will be on my summer faces this year, but as I am a lipstick obsessed woman – it would take way too long. Hence I picked one of my all-time favourites – Girl About Town. A bright berry pink – perfect for a summer evening. I love bold lipsticks and this has great pigmentation as always from MAC. 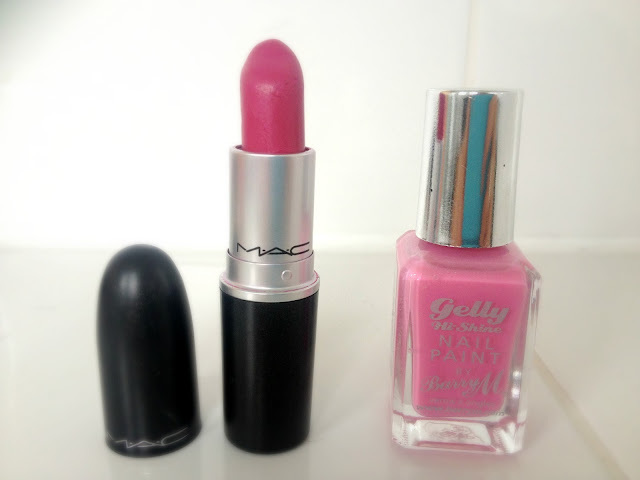 MAC Ravishing is the one I’m using most day times at the minute, love that too – couldn’t resist could I! On my nails I love Barry M at the minute. Their pastels caught my eye in spring, and now their neon’s and I are becoming great friends. This colour in ‘Dragon’ is a recent purchase and so beautiful on the mitts. I think it brings out my tan too! Exfoliate, exfoliate, exfoliate is all my legs scream in summer. The pins are out a lot more than they are used to, and the wear and tear of constant hair removal takes its toll. 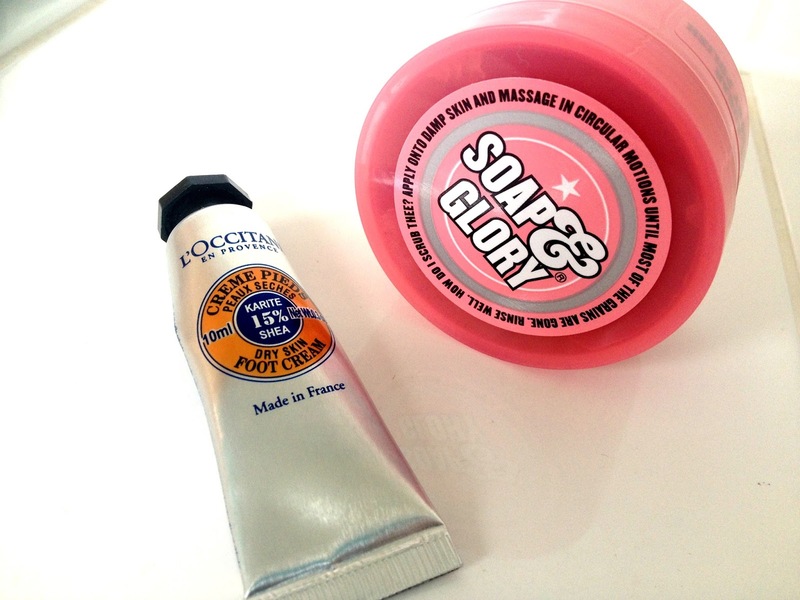 Exfoliating with my favourite soap and glory product – THE body scrub means my pins are well and truly smooth – making tan a hell of a lot easier to apply too. Whilst the pins are out, the feet are out even more, sandals and wedges rule my little tootsies in summer, which means my feet need prepping too. All the horrid dry skin from the colder months is buffed away and maintained with L’Occitane’s dry skin foot cream – rich in Shea butter and ever so nourishing. Smells divine. 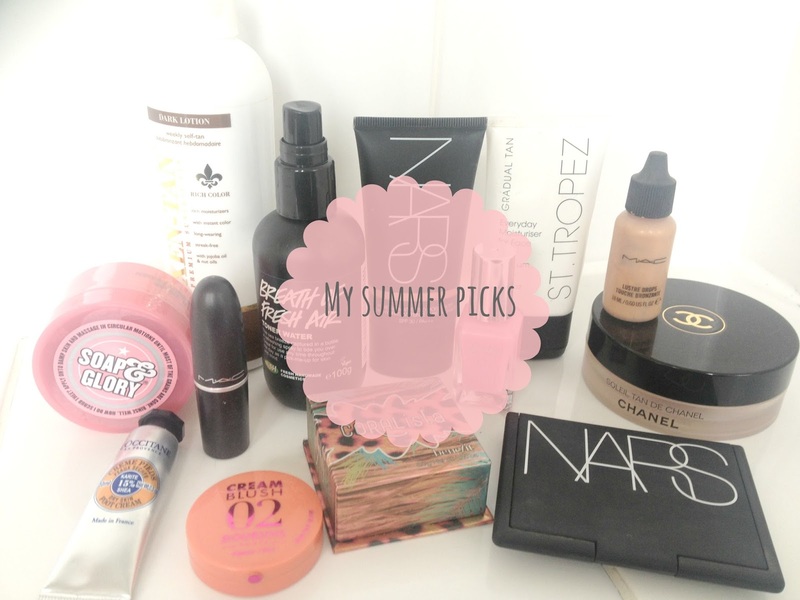 And there you have it – my top picks for summer 2013. I really hope you have enjoyed reading this as much as I enjoyed writing it, I feel quite honoured to say my very own little piece on couture girl! Be sure to pop along to lucy rose and say hello, it would be lovely to hear from you- Happy summer. 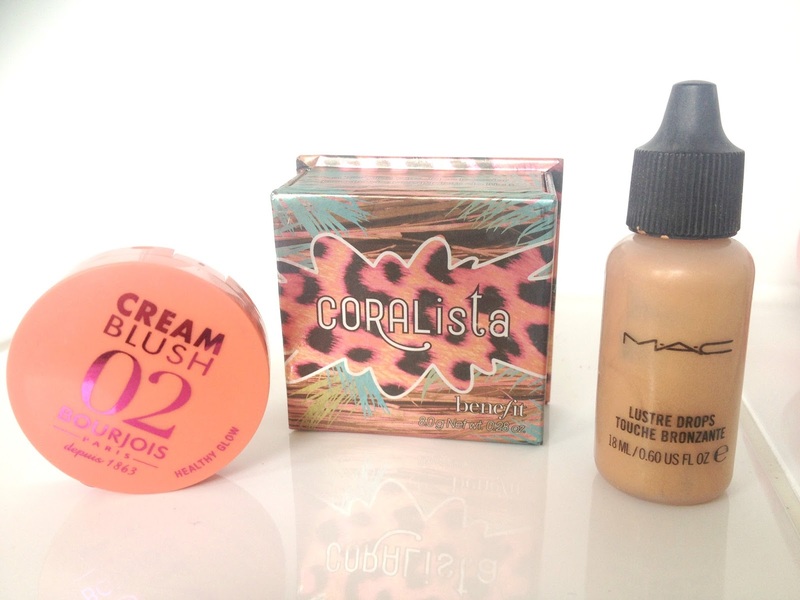 Coralista is my favourite blusher I couldn't be without it. I would love to try the Lush breath of fresh air that sounds amazing. 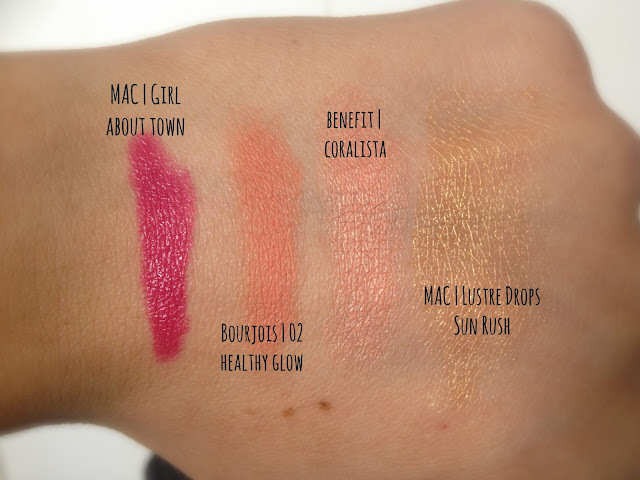 I love your picks, also the Mac lustre drops swatch looks very similar to Benefits Watt's Up which I swear by you should check it out. I've really wanted to try the Bourjois cream blushes - and that particular colour looks lovely - may have to go out and purchase one! I JUST did my summer picks as well! I including Nars Luguna too, such a lovely bronzer. I want Benefit Coralista so badly! All of these products are stunning! I recently picked up a matte bronzer, beneift's hoola so I could use it for contouring as well as a bronzer and it's wonderful! I'm also totally in love with the ysl rouge volupte in 13; it's a beautiful summery peachy pink! I'm dying to try the chanel powder!! Will it work well for people with dry skin? We have such similar taste when it comes to beauty products aha! Loved this post, especially the blush part. I've been looking for the perfect shade of the cream blush and think I've found it! BTW, I would LOVE it if anyone would check my blog out? I'll follow back! I really loved this post it was great since now I know which products would be really good for me! check out my blog if you have time.. I love coralista! Great post!